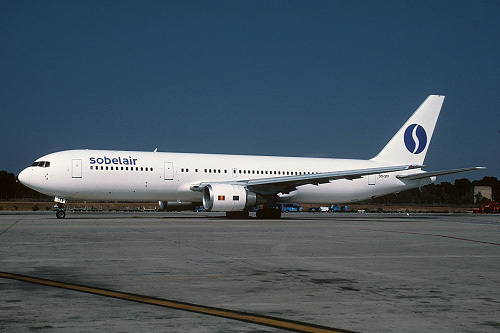 Description: this second hand B767 was delivered at Brussels on June 21 1996 in their color scheme but still without the billboard "Sabena" titles and was the second wide body leased by Sobelair. It became operational five days later. Description: shortly afterwards in the full livery. 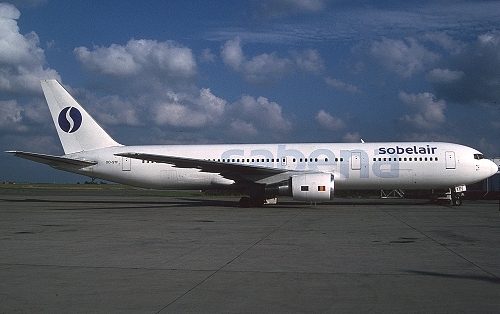 Description: in 1997 the motive in the tail was slightly revised (with waves) according the livery used by parent company Sabena. 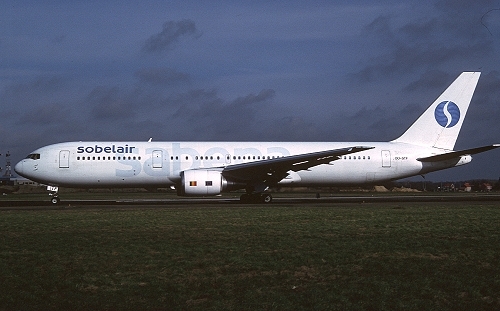 This frame was withdrawn from use on February 18 2001, before being returned to the lessor.